The semi-rigid integral skin polyurethane foams are used in various sectors for multiple applications due to their versatility. Synthesia Internacional has integral skin polyurethane systems for sectors such as furniture, car or protection of facilities. 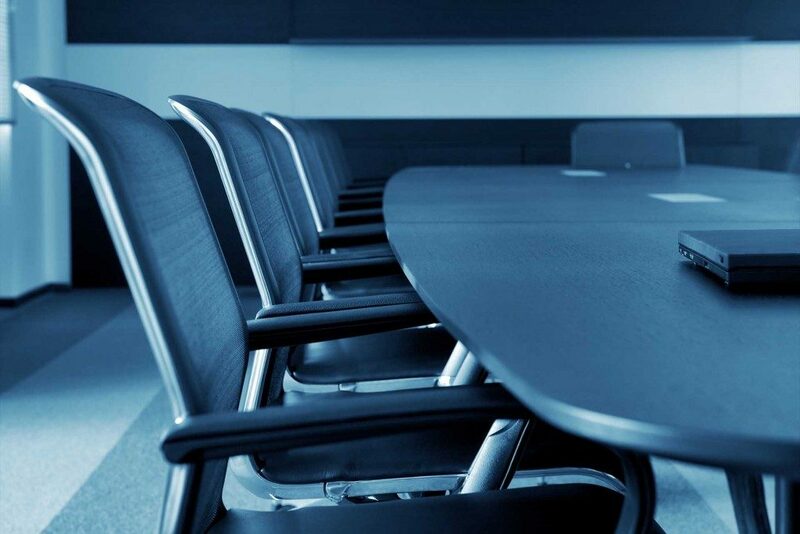 Within the furniture sector, there are subsectors such as office furniture, industrial furniture, furniture for the tertiary sector or furniture for hospitals and nursing homes. 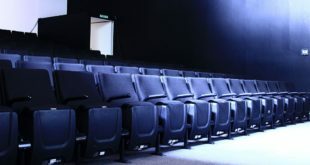 The usual products are chair bases, backrests and armrests. 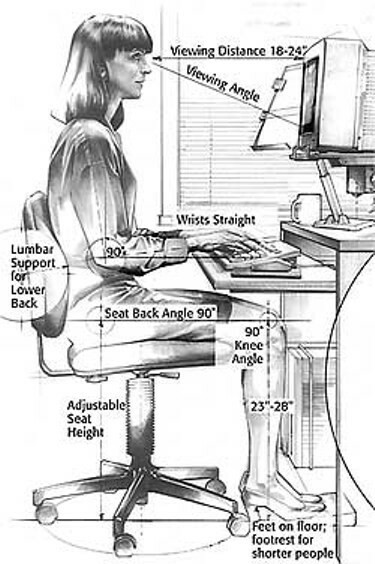 A good posture contributes to productivity. Studies on the subject show that ergonomic furniture has an impact on increasing the productivity of the work team. Here we present several recommendations on ergonomic furniture for people working with screens. Depth between 40 and 45 cm and width from 40 to 50 cm. The leading edge should be slightly rounded in order to avoid pressure in the veins and the nerves of legs. The fabric of the seat and backrest should be breathable. Preferably adjustable to heights between 32 and 35 cm. The height will depend on the workers’ size, but it is recommended that feet rest entirely on the ground and that knees form a 90 ° angle. It must have a support to ensure resistance to overturning. 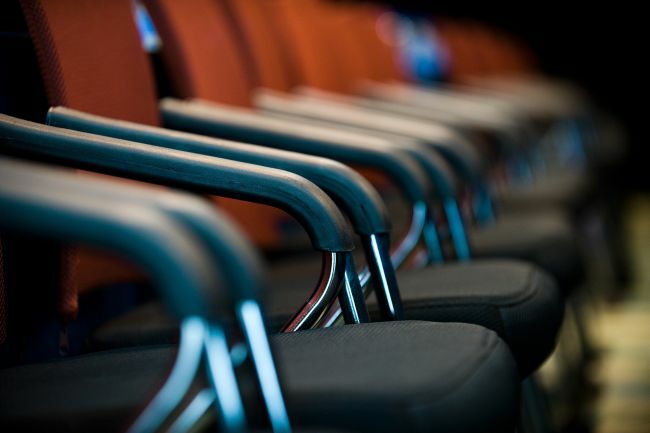 Chairs with wheels allow greater mobility without forcing the posture. It must be rotatable and have five supports on the floor. It must be adjustable in height, as it acts as lumbar support, and adjustable in its angle of inclination. It is recommended that the back has some flexibility in order to pivot small angles on a fixed position, avoiding thus an excessive rigidity over the back and allowing a firm back support. It is desirable that the support has a smooth prominence to support the lumbar region. Synthesia Internacional has a wide range of polyurethane integral skin for furniture. 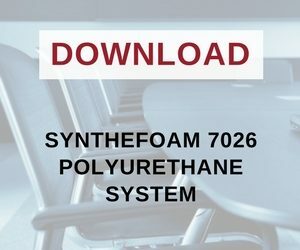 Synthefoam 7026 system is a two component polyurethane system, prepared and formulated to obtain semi-rigid integral skin foams. The system comes colourless. It contains no CFCs or HCFCs. Component A: Synthefoam 7026, composed of a mixture of polyols, catalysts, additives and stabilizing agents. Component B: Isocyanate 5700, MDI – modified diphenylmethane diisocyanate (MDI). The systems are suitable for the production of integral foam parts with moulded density between 350-550 g / l.
The system can be prepared both in high (100-150 bar) or low pressure machines. The recommended component temperature is 22 ± 2 ° C and that of the mould between 35 and 40 ° C.
Prior to its loading into the machine, the component A (polyol) should be homogenized for 5 to 10 minutes with a suitable stirrer. The flow of the machine must be calculated based on the weight of the finished part and the reaction times of the foam; the product discharge must be done in a shorter time than that of the cream. To achieve good quality in the finished part, the following aspects are important: the mould design, the thickness and shape of the insert, the outlets of gases and the inclination of the mould. The time needed to remove it from the mould is between 3 and 5 minutes, depending on the thickness and shape of the part. For further specifications such as the characteristics of components, specifications or characteristics of the foam systems, download the factsheet.